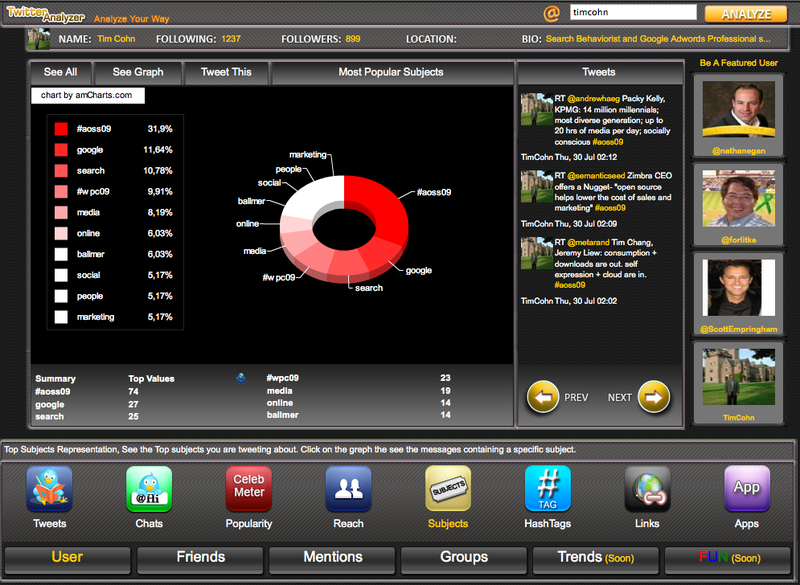 According to its site, TwitterAnalyzer.com is the most advanced Twitter account analytics system in the world. I am not sure how their claim can be confirmed, however their site does parse Twitter account data into segments I hadn’t yet seen. 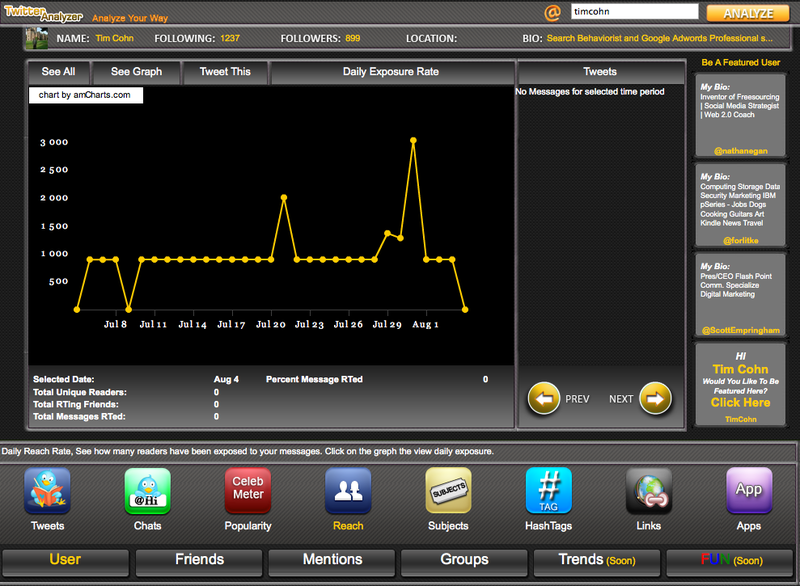 Twitter Analyzer users can view an account by Tweets, Chats, Popularity, Reach, Subjects, HashTags, Links and Apps. Tweets graph a Twitter account’s Tweet activity over a thirty day period. 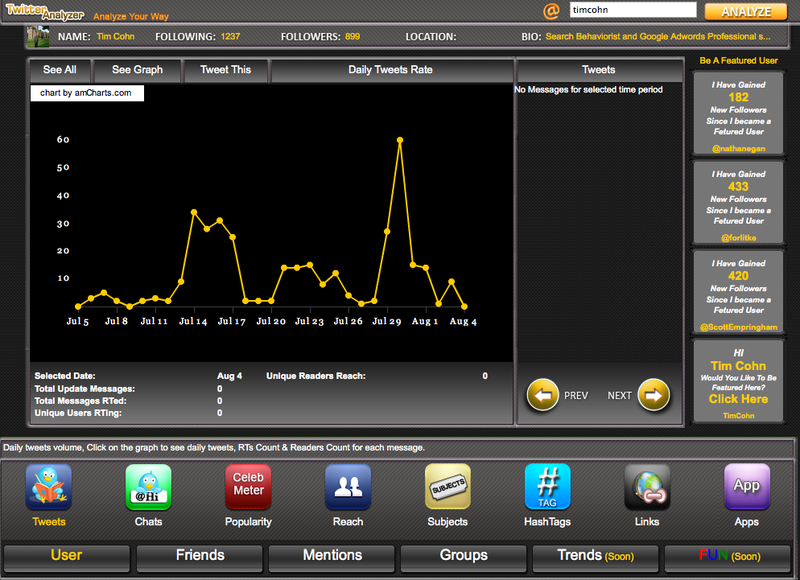 Twitter Analyzer reach charts the reach of a Twitter account daily over a thirty day period. 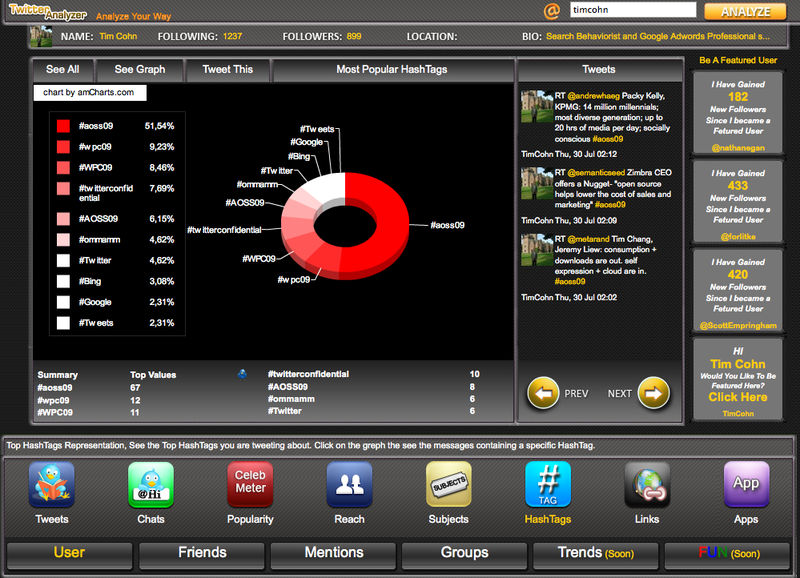 My favorite charts at Twitter Analyzer are the ones for Subjects and Hashtags. Subjects produces a graph of the top ten subjects tweeted from an account in both descending order and via pie chart. Hashtags presents Twitter account hashtag data also in both a descending frequency order and by pie chart. If you have someone you are following who has Tweeted a lot, Twitter Analyzer tools can provide data centric insight into which segment of the Twitter audience their messaging most likely resonates.